Things are coming alive and the animals are out and about now that the sun has come back and it's warmed up a bit. I did this little guy in my sketchbook. He's 2.5" X 5". I'm thinking I might frame this and offer it for sale. Let me know if you're interested. I'd like to do more of these little pieces if there is a market for them. This was a quick little oil sketch I did of Kate’s head. I was trying to keep it loose. 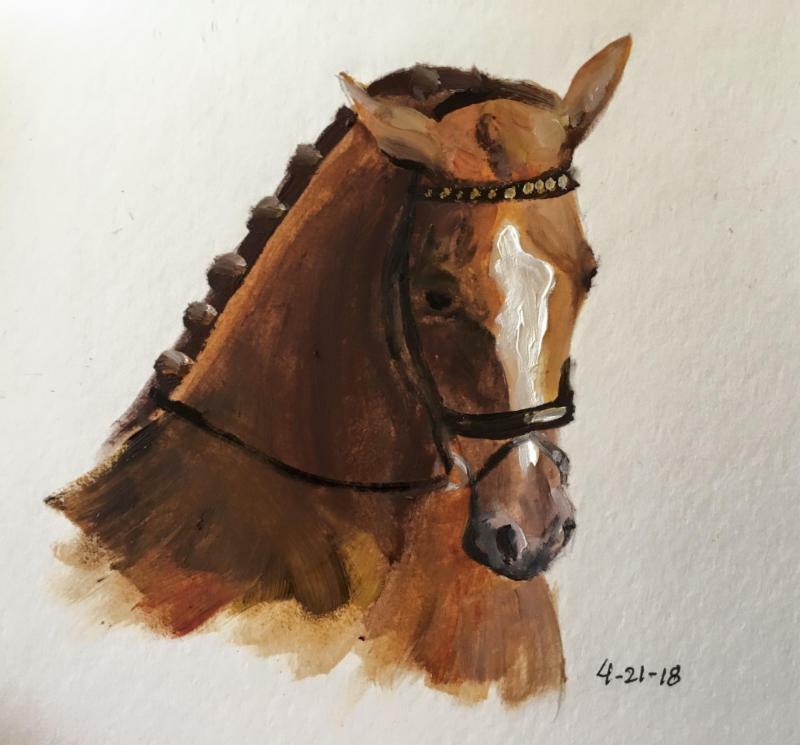 I really like her soft, squishy muzzle in this painting.